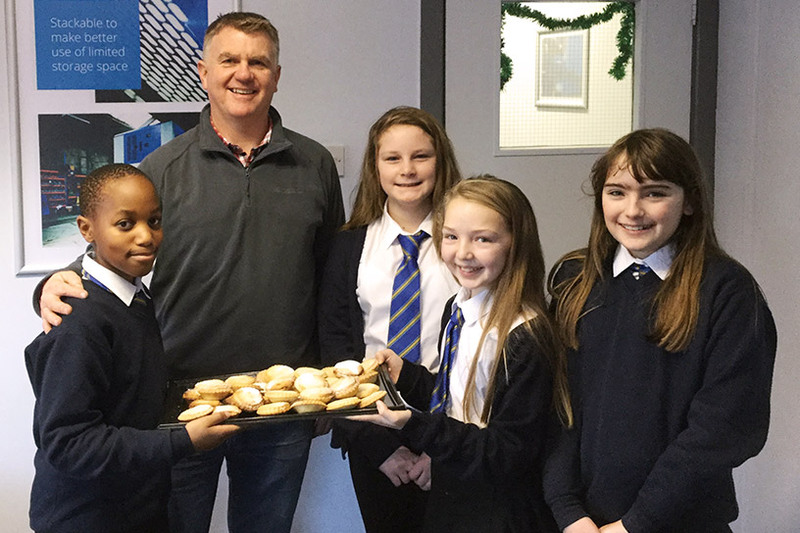 Forget the three wise kings bearing gifts – we’ve been visited by four wise kids with homemade mince pies! We say ‘wise’ because the young people are already high-flying STEM students, on the road to the finals of a national competition in London. The year 7 pupils, from our local school Glan-y-Môr – Laura, Bradley, Josi and Emily have just been selected to travel to London to attend the finals of TeenTech City of Tomorrow. This is an initiative that offers students aged 8 - 14 the opportunity to apply their knowledge of science, technology and engineering to create their own vision of the city. It highlights career pathways in construction, engineering and technology whilst promoting good citizenship. At a strategic level it makes sense for us to support any local initiatives that inspire and train the engineers of the future. But in addition to this, individuals across our entire workforce are passionate about supporting this school. The majority of our team live locally and have done for much of their lives, they want to see our community thrive and the next generation do amazing things. So as a company we decided that in addition to the financial commitment we have already made to Glan-y-Môr, it was important to help fund all 18 finalists to get to London … even if that means sacrificing some of our Christmas party budget!